There are some travel experiences in this world so wholesomely wonderful that I can’t help but gush about them like a love-crazed teenager. My friends, a llama walk is one such experience. I know what you’re thinking: a llama walk? Has Christina been day drinking again? Well the answer is yes (but that’s not the point). You see, a llama walk is exactly what it sounds like and it’s the greatest. You get to walk. 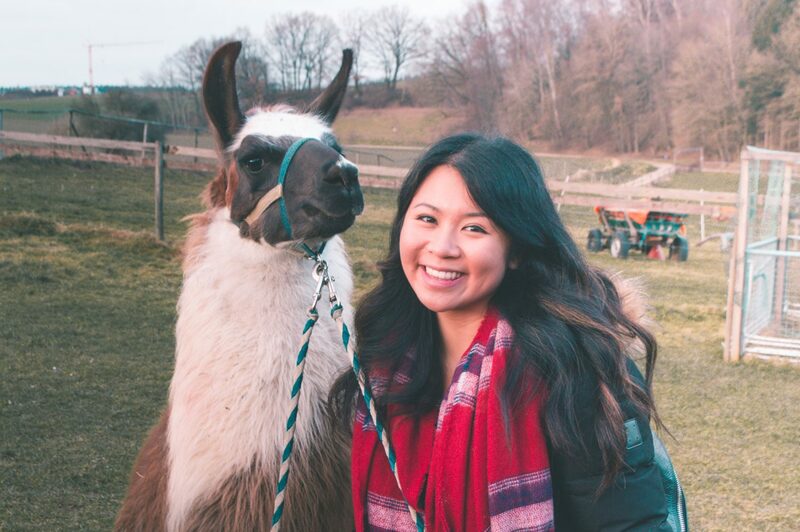 With a llama. And it is simply THE purest form of joy. Here’s lil old me with my llama, Milan. I got to do mine as part of the greatest Christmas gift ever (so just know that this review and love-fest is totally unsponsored). 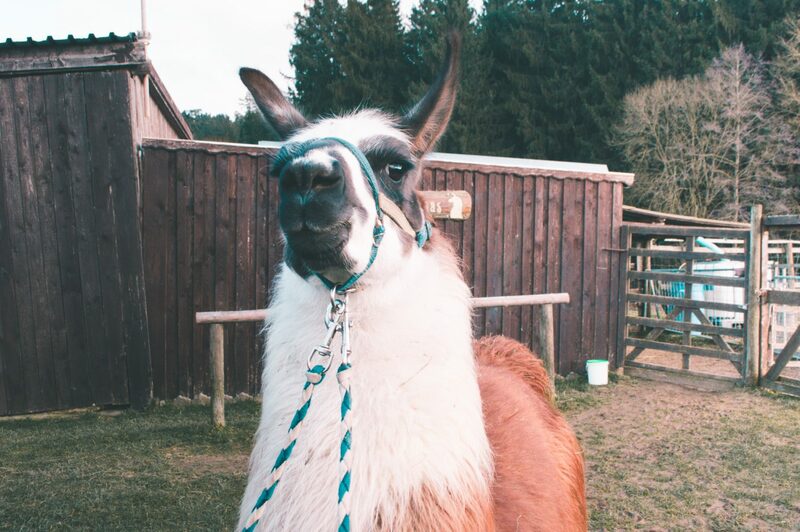 Luckily for me, there’s an awesome llama ranch close to Munich (about an hour’s drive away), just outside of Augsburg. 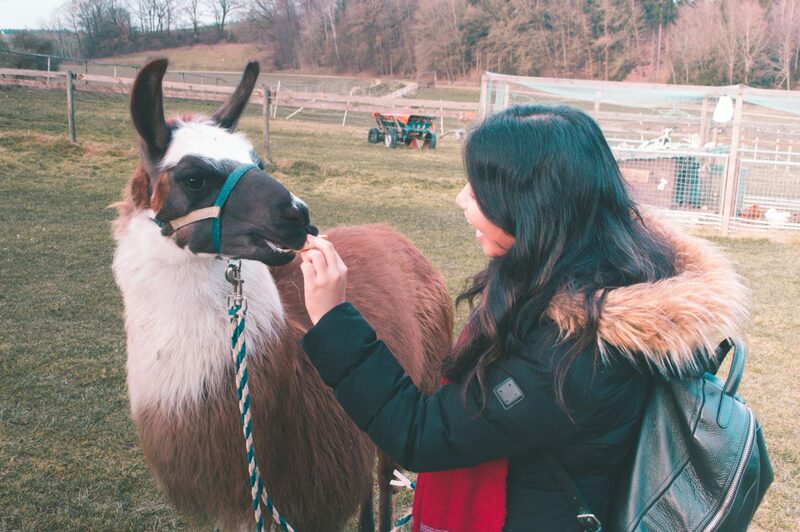 Bayern Lamas is a cute little ranch with a roster of 18 mega-professional llamas and definitely one of the most awesome day trips you can do from Munich! I went there with my boyfriend last Sunday and I’m already plotting ways to trick him into doing it again and again. The experience started out with a fun llama meet and greet. We arrived a few minutes late, but got a handful of carrot slices to feed the llamas while we got acquainted. SO fluffy! We then waited off to the side as the lovely ranch owner Sonja got the llamas geared up and ready for trekking. 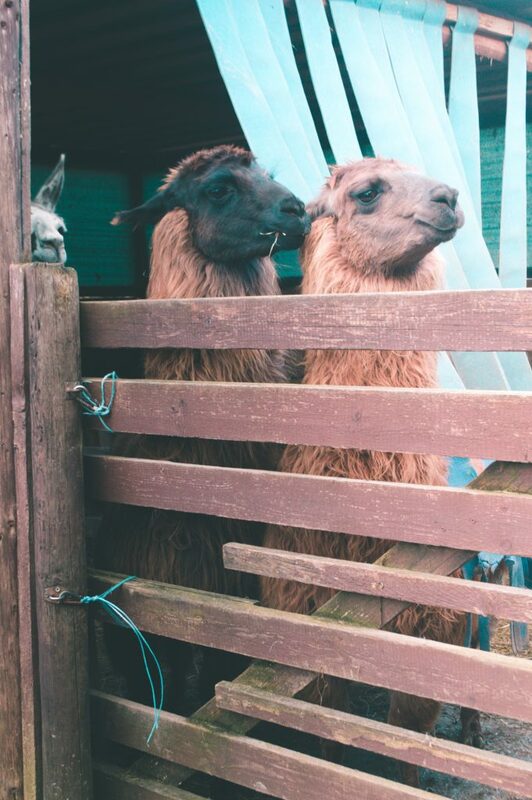 Fun fact: only the male llamas come out for walks because the females are apparently too temperamental. Sounds about right. Then, after a brief safety demo (apparently the llamas all have trigger points you want to avoid, and also the best way to ensure they walk faster is to simply lengthen your stride rather than pulling! ), we were given our own llamas – one per pair. What I loved most was that it wasn’t simply a “line up and get your llama” type deal. Instead, it seemed like Sonja was assigning based on compatibility (or I assume so anyway, since I loved mine oh so much). We ended up with cute little Milan, the youngest llama at the ranch – only three years old! Two by two we led our llamas out of the ranch and walked for an hour or so through a nearby forest and back. The trail wasn’t difficult at all, so no need to worry about things being too strenuous 😉 The path was pretty flat throughout the entire walk, and despite its simplicity, the experience was made unforgettable by… you know, the llama we had by our side the entire time. I might have been giggling throughout the entire duration of the walk. But guys, I couldn’t get over how ridiculously professional these llamas were. Like, they never kicked up a fuss or anything – they just dutifully walked with us like consummate professionals. As you can imagine, the walk ended far too quickly, and we were forced back to the ranch where we said our goodbyes over cubes of crunchy bread. FYI, feeding a llama is amazingly good fun. But there were treats for us humans too!! To help us through the sadness of parting ways with our new llama friends, there were fresh cupcakes and coffee for us to to wolf down (all included in the price of the llama walk experience). The cupcakes were delicious, and I might have had more than one… you know, to fill the llama-shaped hole in my heart. 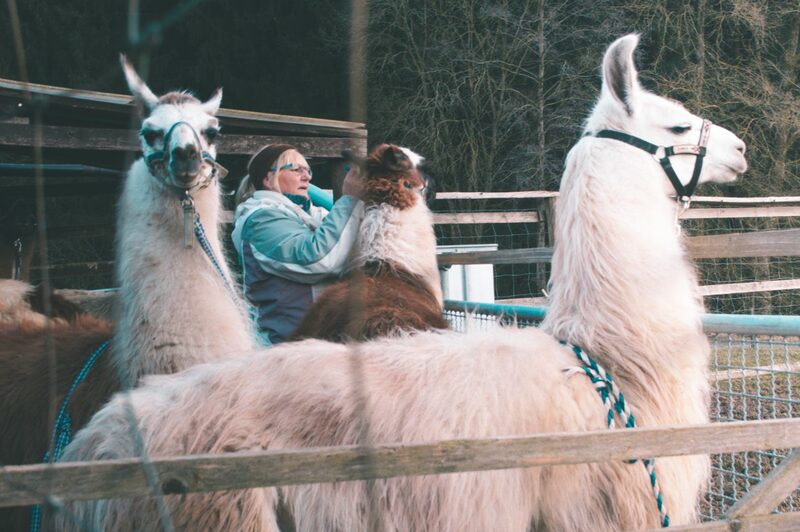 And so, with a camera full of photos and a belly full of treats, it was time to say goodbye to the amazing fun at Bayern Lamas. Trust me, you had to drag me out of there. We were literally the last couple to leave. In fact, we lingered in the parking lot so long, the owners had left before us. Thoughts of bringing Milan home with us did cross my mind, but alas, our small city apartment is no place for a llama to grow up. Milan, I’ll be back for you! Cost: 20 euros a person for the experience I had (2hrs, includes walk + refreshments). Click here for a full list of prices and options. 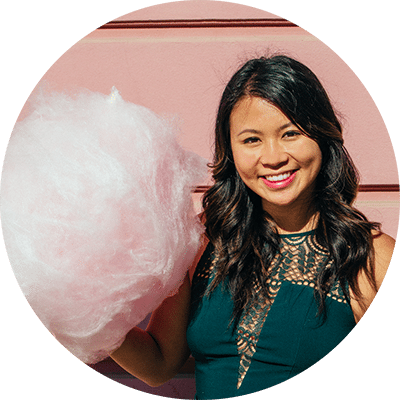 Language: Most of the patrons will probably be German, but Sonja speaks perfect English so you don’t have to worry – you’ll get all the info you need if you’re an English speaker. Parking: There’s a parking lot a 3 minute walk away from the ranch. You’ll get directions when you book! What to wear: It had been raining leading up to our walk, so the grounds were super muddy. I wore hiking boots and they were great, even though the trail wasn’t difficult! Definitely bring comfy walking shoes and dress appropriately for the weather, as the entire experience does take place outdoors. Facilities: There’s a Porta Poddy on site, but it was out of toilet paper when I went. Just an FYI, maybe bring some toilet paper or tissue with you just in case! 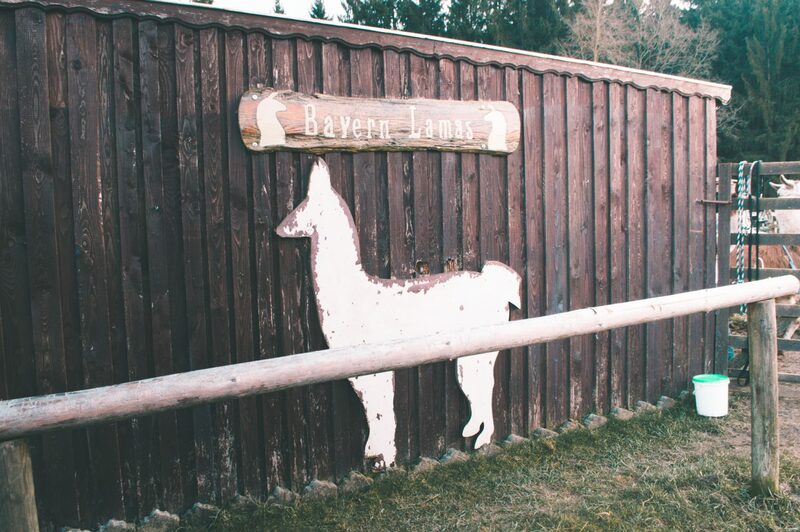 If you want to learn more about Bayern Lamas, check out their website! FYI, the entire thing is in German, but the automatic Google translation of everything is the best thing I’ve read in my life. Guys, “lamas make addict” indeed… if there truly is a “lamavirus” out there, consider me infected. So, tell me: would you ever want to do a llama walk? If not, what’s wrong with you? Just kidding! Sorta. FYI, I was told these two weren’t even related.